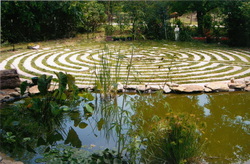 I began construction of my Labyrinth in the spring of 2002, it took me three years to complete. Working alone I would dig out around three feet of path, mix a bag of concrete, pour it, finish it and start all over again. I had kittens at the time who would leave footprints in the wet cement, I left many of them as well as some prints my dog made. By the beginning of the third year I was wondering why I had ever decided to undertake such a big project but I was too far into the job to quit. At the end of that summer I was finally done and was pleased with the result. 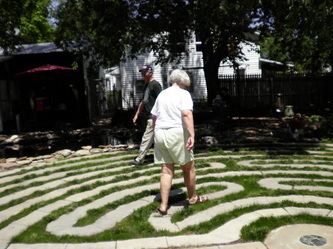 As friends learned about my labyrinth garden they would visit often. Word soon spread and I began to have more and more visitors. For the past four or five years church youth groups have come to the garden as part of their confirmation activities. I enjoy sharing my labyrinth garden with visitors. 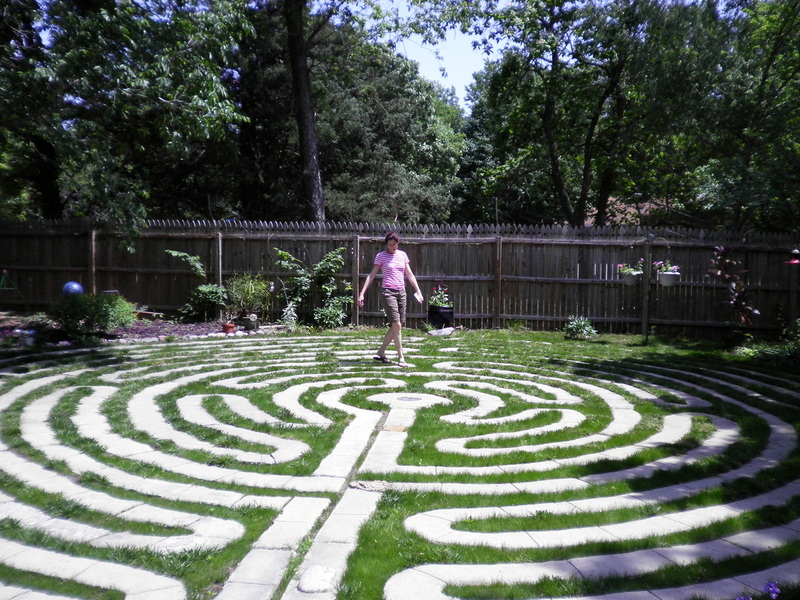 Each year I add new garden features, so the experience is different for those who return. I welcome groups and individuals to my garden. 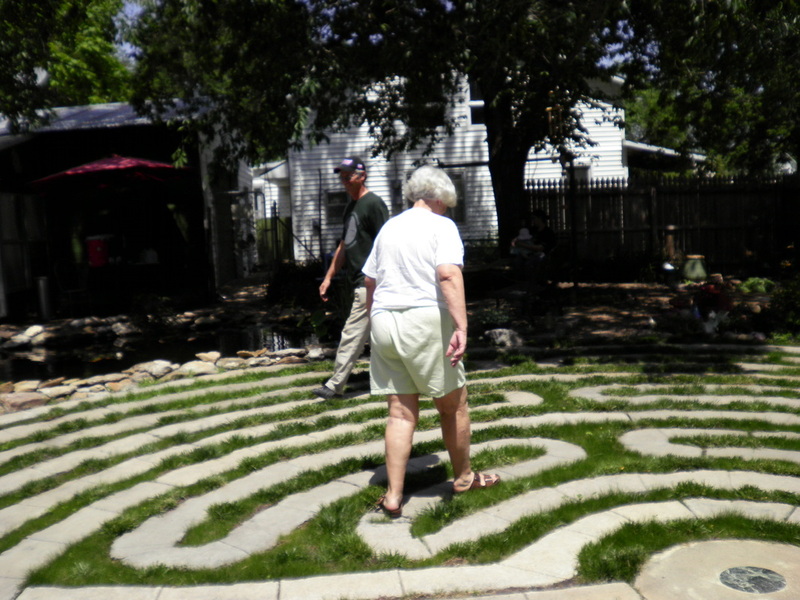 Arrangements for your visit can be made by calling me at: 620-363-2040.
we had close to twenty people walk the labyrinth this year.